New People’s Army (NPA) rebels and the Army’s 84th Infantry Battalion fought what many are saying was a major battle in the hinterlands of Davao City on Sunday. 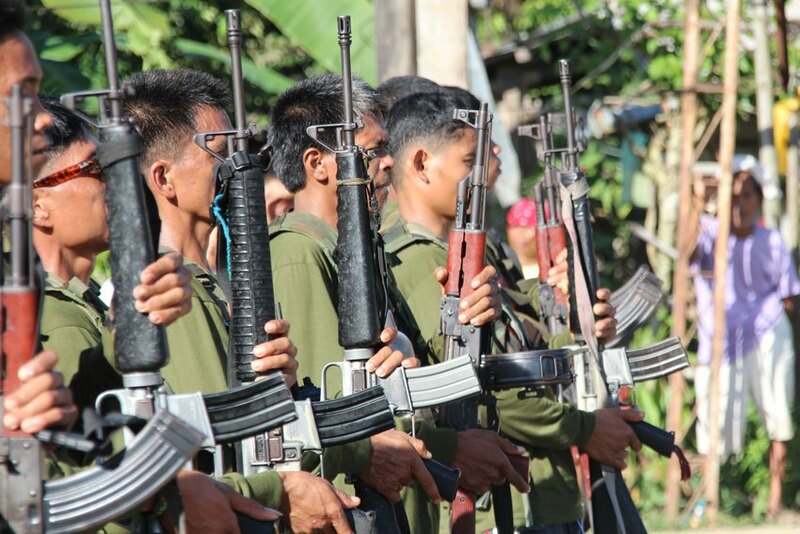 NPA Guerrillas fled after a firefight erupted with soldiers at the foot of Mount Apo in Toril district. Fighting broke out at Sitio Upper Immaculate, Tagurano Village at 2.50pm on Sunday – one NPA rebel was killed, he was discovered with an M-16 assault rifle and 13 backpacks. Army officials say the men are from Guerrilla Front #54 and are responsible for the recent burning of several pieces of heavy equipment and also for the abduction of 11 civilians in the same region. ALSO READ: Duterte to communists: "No more talk, let's fight!" How pathetic is the Phil army if they can’t stop and put an end to NPA and the Muslim terrorists! No wonder they always need the US army to win their battles with other countries! I think the Phil army does a decent job with the resources they have, the problem is they are fighting guerrilla units. The US Army had the same problems when fighting in Vietnam, and also the same problems in Afghanistan. It’s very hard to fight an enemy that does not wear a uniform and hides among the common people. If a place is not covered with safety measures you can’t stop these kind of consequences.in that area you don’t know who who are working with the other side,many of our soldiers were converted to muslim and we can’t recognized who our friends and enemy,that was happening right now.My cousin was killed inside the toilet with fellow AFP who was converted to muslim faith.that’s real story happening now a days.